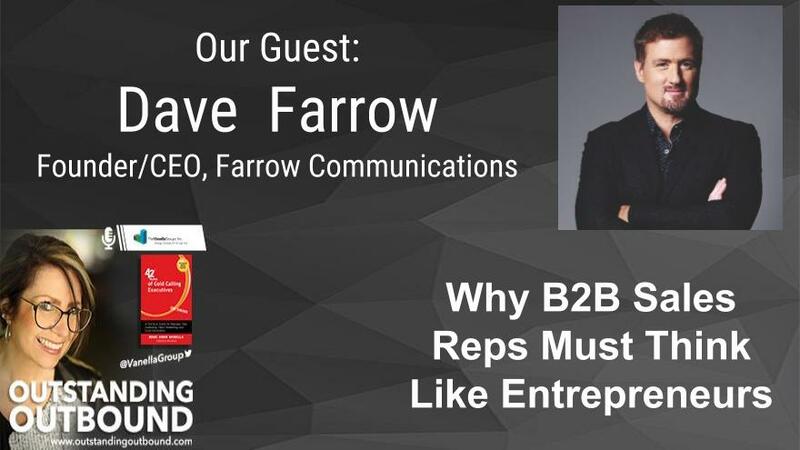 Join host, Mari Anne Vanella as she welcomes Dave Farrow, Founder/CEO of Farrow Communications as he goes over why B2B sales reps must think like entrepreneurs. Dave Farrow is best known for his brain power. Listed twice in the Guinness Book of Records for Greatest Memory, Dave is an entrepreneur who mastered PR to promote his own business. Most PR professionals have a background working in television BUT have no sales or entrepreneurial experience. As for Dave, he took his skill in memory and developed several educational products and used PR as his primary sales tool. His results are impressive. Dave has personally been on over 2000 media interviews, including multiple appearances on Dr. Oz, Steve Harvey, the Today Show, Fox and Friends, CBS Early Show, Live! With Regis and Kelly, BBC, NBC, CBS, ABC, The CW, QVC, Discovery Channel, Science Channel, and more.